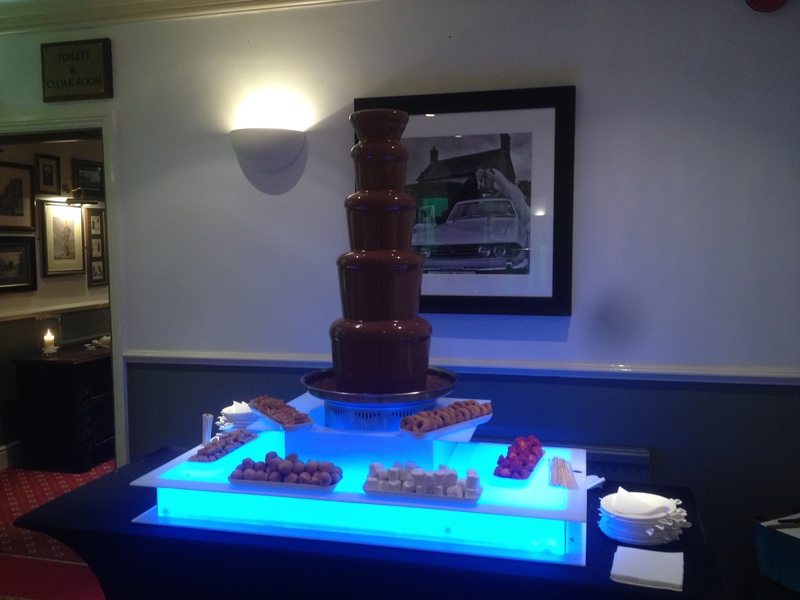 Sweetsforweddings provides unlimited Dark, Milk or White Belgium chocolate for your guests setup on our stunning Led base to give that extra wow factor at your event. A stunning 2 tier rectangle LED light base. All of the above prices include a running time of 2.5 hours plus setup and collection, further running time of the fountain can be added at £50 per hour or £25 per half hour. Strawberries, Grapes, Melon, kiwi, Pineapple, Mini Doughnuts, Crunchie pieces, Jelly Babies, marshmallows, fudge, Mars Bars, flapjacks, milky ways, bananas, chocolate brownies, profiteroles, Turkish Delight, short bread biscuits, chocolate brownies, waffles. To change the colour the main chocolate provided will be white chocolate and will not change the flavour.